•Definity contains naturally high levels of calcium. As well as strengthening your bones and teeth, new research shows that Calcium also supports weight loss. Definity Shakes are a great compliment to a well organised diet, helping you to meet your small regular meals. Rich in whey protein, a milk derived protein, these nutritious shakes will increase feelings of fullness whilst helping you to retain a toned and shapely body. Great for hair, skin, nails and immune function too, pick definity shakes to help you lose those last few pounds, tone your body and complete your diet. Suitable for vegetarians too. Perfect to help bridge the gap between breakfast and lunch or lunch and dinner, simply have one shake and a piece of fruit to support your metabolism and health. Alternatively add Definity Natural to yoghurts and smoothies to boost the protein content and take your cravings away. 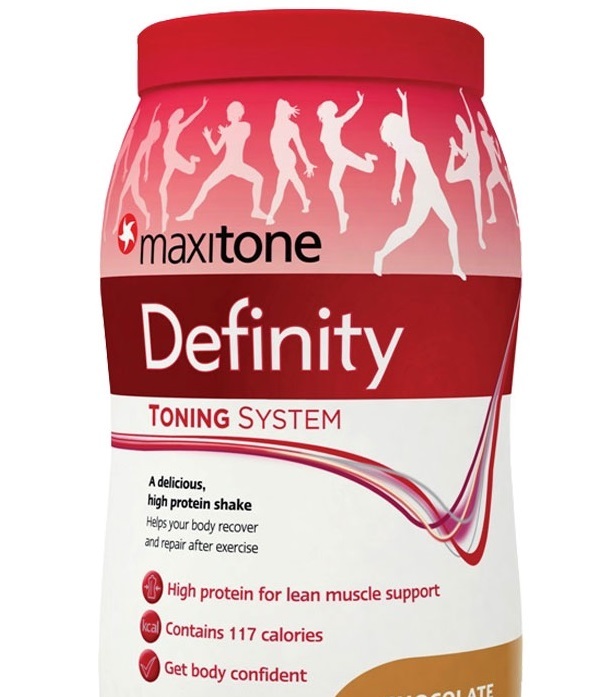 Add a scoop of Definity in your preferred flavour to your maxitone shaker, add 200-250ml water, shake and drink.